Apple has always prided itself on its simplicity for its products. 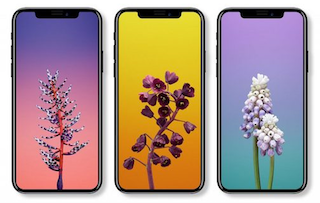 For example, all iPhones have the same old wallpaper. And after you buy your new and shiny iPhone 8, the default wallpapers might seem fresh and cool. However, after some time, you will get bored and tired of looking at the same old wallpaper. And you want to change. The problem is, iTunes wallpapers might be pricey, and you do not want to pay extra for a new wallpaper. So, what are your options? If you struggle to find a wallpaper that is great for your phone, and can express your true character, do not worry. Here are some websites that will help you find the iPhone 8 wallpaper you’ve always searched for. And since they are free, you can change the wallpaper as often as you like. Papers is more than a website. It is also an application that you can use on your iPhone. If you like, you can use the regular website to browse different wallpapers. Thanks to the clean and simple layout, you can easily find the perfect image. Aside from wallpapers, there is not much else you can do on Papers. Not many websites offer wallpapers in 4K quality, and Papers is one of the few exceptions. If standard is not your choice, and you want something original and different, Poolga is the website for you. Unlike other websites that offer HD wallpapers for iPhone, Poolga prides itself on artistic, original, and creative wallpapers. All of the images are uploaded by individual artists, giving you a chance to get something that is unique. The website will help you understand what size and resolution to download for your phone. Depending on your model, different resolution fits best. Whenever you like wallpapers, images, videos, games, music, songs, ringtones, or anything else for your iPhone, Zedge is the place to go. This website has been around long before we got smartphones and phone applications. Back when phones had nothing more than simple buttons, we used Zedge to download wallpapers. Now, Zedge has evolved, just like smartphones. Running better than ever, Zedge offers a ton of wallpapers for your phone. Once you visit the website, your first step is to navigate to the wallpapers section. Choose the device you have, be it iPhone 8, or some older model. Once you chose the model you use, you can browse through the different wallpapers. If you find something you like, click on the picture, and save it to you device. For iPhone lovers, you can also find many iPhone related news here. With a simple layout, this website is focused on wallpapers for iPhone, and nothing more. All of the wallpapers are divided into different categories. You can also search for wallpapers by model of your phone. All of the images are in high resolution, allowing you to get high quality wallpapers for your phone. When it comes to images, one cannot avoid mentioning Flickr. This is the most well-known website and community for images. No matter the graphic content you are looking for, Flickr has you covered. Flickr also has some graphic content from individual artists, similar as Poolga. The website is divided in separate groups, each of them with a lot of wallpapers for your phone. As mentioned previously, wallpapers are not the only thing you can download or your new shiny iPhone. If you are into videos and songs, Snaptube Online Downloader will be a great tool for you. This downloader is designed for video and music searching and downloading. SnapTube lets you search and browse videos by keyword or by direct link from a website you want to download. You can also download YouTube to MP3 without undergoing conversion. In addition to YouTube, SnapTube also supports Facebook, SoundCloud, Pagalworld, Vine, Vimeo, Vevo, Facebook, Instagram, Liveleak, Metacafe, SkyMovies and much more. You can download all videos in different resolutions according to your needs.